Black: black as a young raven with a black crystal-dripping black rose, suspended on a pallbearer-black ribbon. Surely, a manifestation of abject sorrow, or else some mortally dangerous intent? Be wary of the herald that wears this token! 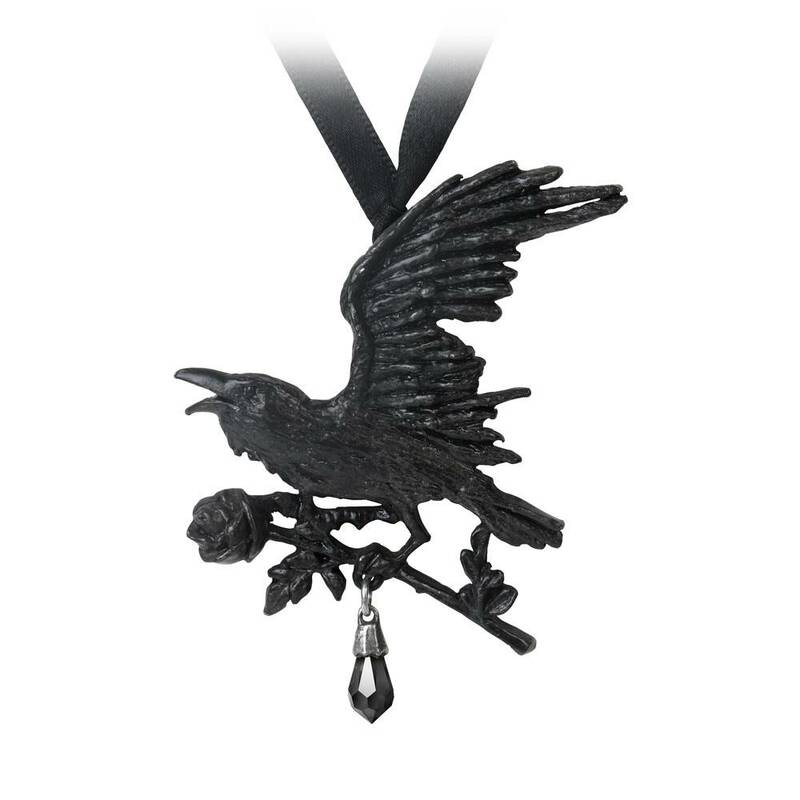 A black pewter profile pendant of a flying raven with a rose in its claws, suspending a black Swarovski crystal dropper with burnished pewter cap. On 38", (96cm) long, 7mm black ribbon necklace, to be hand tied.